I don’t think I could stop myself from doing something extremely violent if this were my family. Their owner must've treated them badly. Californians are trying to figure a way to save the doggies lives. Is there some fricking lobby stopping us from getting rid of these dogs? Is “big pitbull” giving millions to Congress?? We're going to need to start passing and enforcing laws that require jail time, sustainable fines and have an insurance requirement. It might be the owner but there are way to many attacks from this breed to be statistically insignificant. Absolutely. There should be a permit requirement with courses - it should be like getting a concealed weapon permit. I want a white noise machine with just the sounds of baby pitbulls being beaten with a rusty tire iron. Should help my insomnia. How hard was it to train him to rescue children from existing? Ban these trashy fricking dogs already. Trailer park breed. 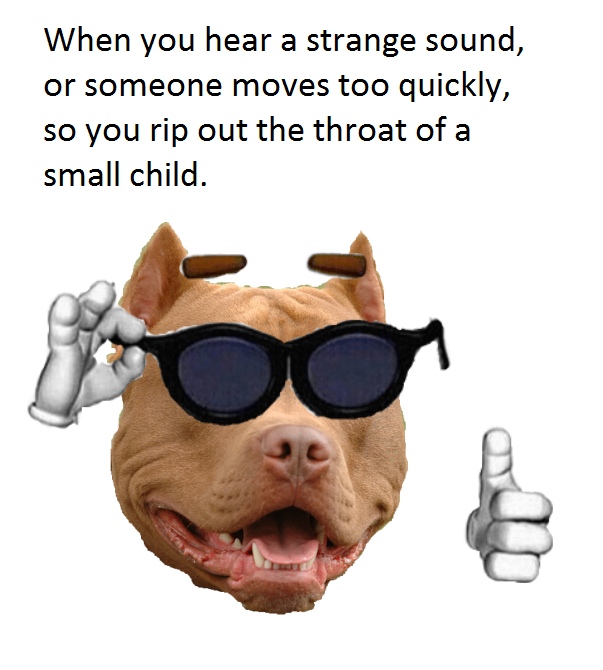 I've seen bigger pitbulls in the quad. There already are in many states. Certain companies, such as Esurance, won’t sell you coverage if you report owning a pit bull. In some cases, insurers will sell you a policy but stipulate that claims involving your dog won’t be covered. Others may be willing to insure homes with pit bulls but at a higher cost. The exact price increase is hard to pinpoint because every company has its own approach to selling insurance to dog owners. Note, however, that in Michigan and Pennsylvania insurers aren’t allowed to deny or cancel liability coverage, which pays for others’ injuries caused by your dog, solely based on breed. Don't understand why people want Pitbulls. Get a Boxer! 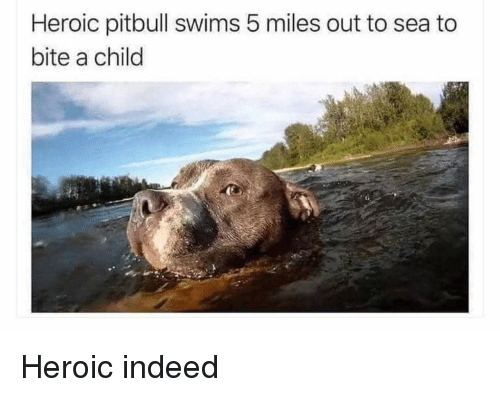 Title should read "another pitbull thread without pitbulls"